I.M.O.W. Global Council member Zainab Salbi, founder and CEO of Women for Women International, says that while microfinance is a step in the right direction, women's ability to operate at the macro level of the economy must also be recognized. 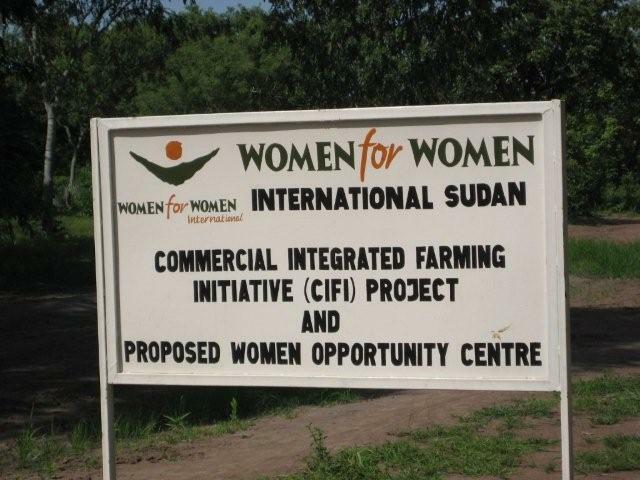 Women for Women International's organic, commercial farming initiative in Rumbek, Sudan. Women in the program receive critical training and resources and go through a women's rights program. Farms at Kan Bang Pacong. Microfinance has revolutionized both development and the global mindset about women's economic potential. It has put tangible economic opportunity into the hands of poor women--a huge proportion of the global population--and ushered in a new era of thinking about how investment in women can offer low risks and high returns. The microfinance movement and its leader, Nobel-laureate Muhammad Yunus, are to be applauded for making a global impact on poverty reduction and women's advancement. But the revolution is not yet complete. Now is the time to move beyond microfinance to create bigger and broader economic opportunities for women, situating them as central and pivotal players in the "macroeconomy." Only then will we bring our revolution full circle. Macroeconomics deals with economy-wide phenomena such as national income, economic growth, gross domestic product and inflation. Clearly, women already impact the macroeconomy. They are a tremendous source of productive and reproductive labor: they care for families, grow and prepare food and constitute a huge percentage of manufacturing, service and agricultural labor markets. The problem is that women are rarely empowered to own and negotiate the benefits of their own labor. Although women are present in many industries, they are noticeably absent from well-salaried jobs in the private sector. Around the world, women's work is unrewarding work: it means low pay and long hours. Women farmers don't own the land they cultivate. Women factory workers are paid less and often intimidated, sexually harassed or exploited. Female domestic workers are not unionized and face a high risk of trafficking and other exploitation, particularly if they are undocumented members of the "grey" economy. This is the existing and severely unbalanced macroeconomic landscape for women, and it must be leveled. Women must be empowered as economic players across the spectrum--as laborers, managers, entrepreneurs and investors. So what does this mean? What would it take to integrate women across the economic spectrum? It's certainly a tall order. We must reframe the way we think about economics, asking at every turn "Where are the women?" We must incorporate women into national development strategies, including macroeconomic frameworks. Government ministries should engage in "gender budgeting," both financing programs that will empower women and tracking the impact of existing programs and services by gender. We should include gender equity in all discussions at the national and international level, incorporating policy makers, donors, academia, civil society leaders and women across the board. There is emerging consensus that inequality and homogeneity are bad for business. Gender-diversified economies--economies where women are present and empowered in every economic sphere--are found in wealthier, more stable states. Gender-diversified boards make better decisions, reducing risk and increasing creativity and dynamism in leadership, not to mention profit; a 2007 Catalyst, Inc. study found that boards with more women outperformed those with less by as much as 66%. So how do we get there? We can start today. All of us can break down the barriers to women's macroeconomic empowerment. We can support, with our pens or with our wallets, everything from girls' and women's education, to equal rights land ownership, increased access to venture capital and, yes, micro-lending too. At Women for Women International, the global organization I run to help women survivors of war, we're making strategic investments in women on just such multiple fronts. We do provide microfinance opportunities, but we also offer an array of other economic opportunities--from job placement, to social enterprise development and business leadership. We also work to ensure that women are integrated at every level of the value chain; for example, in the agriculture sector, we train women not only to be producers but also processers, marketers and managers. Women for Women International's work to empower women economically is not only about giving women sustainable sources of income, but also about giving them access to the political power that comes from earning that income. For we can talk as much as we want about economic empowerment, but if it is not combined with political empowerment, making more money does not always translate to better rights for women. So we make sure that every single woman in our program goes through an intensive, year-long training program in women's rights. It is the combination of awareness and access to economic opportunity that leads to lasting change in women's lives. Allow me to give an example of how women are forming an important labor market. 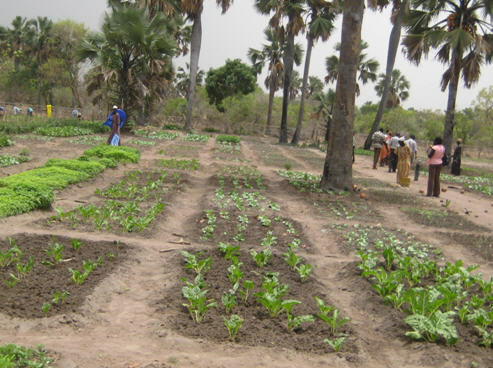 In Sudan, we're rolling out an organic, commercial farming initiative (CIFI for short) that will employ 3,000 women over three years. Each woman goes through a women's rights program where she meets with 20 other women every other week for a year. She also receives critical training and resources, such as free land (leased from the government), seeds and water. The combination of teaching women about their rights, improving their farming skills through more efficient and sustainable organic farming techniques, giving them access to and control of land, and helping them connect to commercial markets helps women move from subsistence to high-profit agriculture. Now a woman has moved from poverty to profit: she owns the means of production and can ultimately embrace processing and marketing opportunities as well. After only 6 months, 80% of the women in the project have achieved an income level double the average for the country. Together, the women now form an important labor market in their area; individually, they benefit from exponentially increased profit, lifting their families and communities out of poverty. It's good for the women. It's good for Sudan. This is a model we can replicate around the world. We are already breaking ground in Rwanda and Afghanistan, and we won't stop there. The data is telling us that this is the right thing to do; programs like our commercial farming initiative in Sudan are telling us it's possible. What we're witnessing in Sudan is the beginning of a macroeconomic shift. And at this precarious moment in the global economy, I think a shift is right on time.